A little big band baseball music to start your day. Hey Joe, whaddya know? On 29 August 1948, Jackie Robinson hit for the cycle, and did so in reverse order. He started off the feat with a home run in the top of the first, tripled in the fourth inning, doubled in the sixth, and singled in the eighth. Through all this, Robinson drove in two RBIs, scored three times, and stole a base. 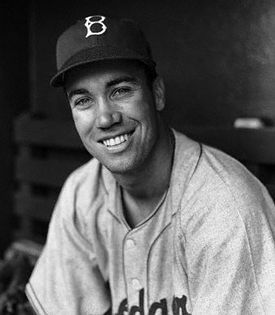 With his help, the Brooklyn Dodgers defeated the Cardinals 12-7 at Sportsman’s Park in St. Louis. History’s first televised baseball game was broadcast by NBC on 26 August 1939. 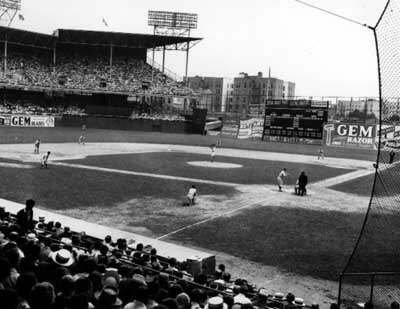 The Reds played the Dodgers at Ebbets Field and split a doubleheader, the Dodgers winning 6-2 in the first game, and the Reds taking the second game 5-1. The telecast was shown on experimental station W2XBS. Red Barber called the game for the television audience. Only two camera angles were in place for the game: one down the third base line, and the other high over home plate in order to capture the entire field. And cameras, not nearly as advanced as they are today, had difficulty capturing any fast-moving plays. While baseball owners initially feared that television coverage would hurt game attendance, they quickly embraced the increased coverage and revenue that could be gained through the sale of broadcast rights and from advertising. Today, televised sports is a multi-billion dollar industry. Another fun infographic for your reading and learning pleasure. Following weeks of legal back-and-forth, on 24 August 1989, baseball Commissioner Giamatti bans Pete Rose from baseball for life for gambling on Major League games. Rose signs a five-page agreement accepting the ban, but he never admits to gambling on baseball.